The community of Los Osos/Baywood Park (Valley of the Bears) located on the Southern tidal estuary and four-mile sand strand, just south of Morro Bay, on the coast of Central California. This hidden gem of the Central Coast is just a 20-minute drive from San Luis Obispo along cattle grazing and lush agricultural countryside, and a short three-mile scenic drive from Morro Bay, Visitors can reach the area within a few hours drive from several major metropolitan areas. The community is easily reached from Highway 101 on Los Osos Valley Road or from Highway 1 on South Bay Boulevard. With a population of approximately 20,000, the town is situated 148 feet above sea level and enjoys a temperate year-round climate. Los Osos/Baywood Park offers a full complement of service clubs, organizations and activities, all of which support the quality of life that makes our community unique. There are two elementary schools and one middle school, and a nearby high school in Morro Bay for students to attend. We have a park, tennis courts, library and community center as well as a local fire station and quality medical care. We invite you to visit and experience the magic of the “Good Life” that still exists right here in Los Osos/Baywood Park. We invite you to take time to discover our charming community which boasts clean air, friendly neighbors and community pride. Bears once inhabited this part of California, hence its name: La Canada de Los Osos (the valley of the bears). 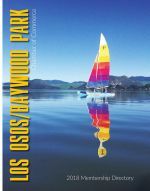 Now known as Los Osos/Baywood Park, it has a long and colorful history, which was first recorded by Don Gaspar de Portola y de Rovira who formed a sacred land expedition to New California in 1769 that extended from San Blas, Mexico, up to San Diego and on to San Francisco Bay. Part of Los Osos’ history includes an area now called Sweet Springs Nature Preserve. This two-part natural pond system was once called The Townsite of Sunshine Beach and was founded in 1868. Lesser known, but as profoundly unsuccessful as the 1889, El Moro development, was Sunshine Beach, the pie-shaped property wedged between El Moro and Cuesta-by-the-Sea. A park (the present Sweet Springs Nature Preserve) was included in the plan proposed by Norman Harrison and D. R. Oliver in 1893. The development was never registered and the lots were never filed as separate, legal lots.In 1948 Harold & Orlien Broderson purchased Sweet Springs central and are credited with excavating the ponds for irrigating a potato farm nearby. Today, Sweet Springs is a natural park open to the public and located at the south end of the back bay area of Baywood Park. Now a part of Los Osos, it boasts breathtaking views of the back bay, a nature lover’s paradise. Click on the image for the complete pamphlet.